It was an end of an era in 2007 when The Gathering's lead vocalist Anneke van Giersbergen called it quits to spend more time with her family and her new musical venture. The band had a distinguished career, mostly overseas, to this point, but were also gaining greater international recognition thanks to a North American tour with Lacuna Coil that same year. Now, The Gathering has found another female vocalist in Octavia Sperati (Norway) singer Silje Wergeland, and so released 'The West Pole,' supposedly the first of two albums to be released in 2009. Much of the character and quality that you would expect from The Gathering is here on 'The West Pole.' There was a time earlier on when they were often swept into the gothic rock and sometimes doom genres thanks to their vocal arrangements and often somber, slow-paced compositions. Some of this remains, but I would characterize their sound as more alternative prog rock. However, on 'The West Pole' guitars, atmosphere, and some very narrow play with rock take a greater precedence. The guitar work is mostly chords, riffing and distortion. The atmosphere varies from light, upbeat rock (the lesser) and solemn and sanguine (the greater). The latter seems reserved from earlier works: a doomish gothic feel can be found on 'The West Pole' and 'Capital Of Nowhere.' Generally, it was the somber, near depressing, mood that buried my interest as I traveled through this disc. Except for the notable and more upbeat closer 'A Constant Run,' this album is nothing to listen to if you're battling fatigue or worse, some a mild depression. Conversely, high marks should be given to Wergeland's vocals which are magical, compelling and fit quite well within The Gathering. Also cheers are deserved for the outstanding bass work from Marjolein Kooijman found throughout (take note of 'Treasure). 'The West Pole' is a fine resurrection for The Gathering with a new lead vocalist and a more guitar oriented sound. Yet, the somber and reflective mood of the music remains making this work more than a little unsettling and depressing at times. Recommended. 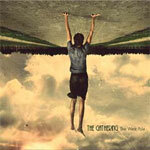 'The West Pole' is a fine resurrection for The Gathering with a new lead vocalist and a more guitar oriented sound. Yet, the somber and reflective mood of the music remains making this work more than a little unsettling and depressing at times.